Sometimes you might require to know how many columns have your speadsheet covered or how many cells are you highlighting. It gets a bit challenging especially when the column labeling goes past AA. All of us have been there. 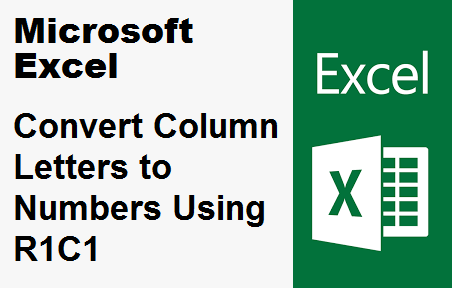 There is a way in Excel to convert column letters to numbers using the R1C1 Referencing Style. Instead of using letters for columns and numbers for rows, the R1C1 Reference Style option enables using numbers for both rows and columns. After which cells are then referenced to in this format as R1C1.